See Israel in style with an outstanding tour educator and superb service. Israel Matters is a forum that offers a diversity of perspectives on Israel. 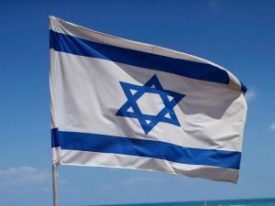 Israel is of great importance to members of Temple Beth Ami and this group brings relevant speakers, articles, and information about Israel to ensure our members are knowledgeable about current events in Israel. To learn more or to be added to the listserv, contact Ed Sondik. ARZA: Temple Beth Ami is a sponsor of the Association of Reform Zionists of America. ARZA is part of an international network of like-minded, progressive Jewish voices, working in unison, to build a better Israel. Visit www.arza.org for more information. 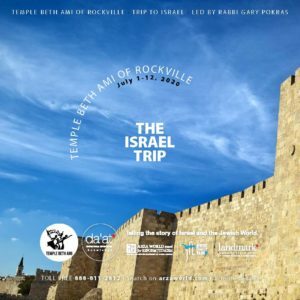 Machane TBA teaches about Israel through a series of classroom lessons and experiential programming which help students to understand the links between the ancient Jewish connection to Israel and the importance of Modern Israel to the contemporary Jewish world. These lessons and programs range from learning about the Torah origins of the Jewish People and Israel to the aspirations of Theodor Herzl and the founders of Modern Israel to the astounding cultural and technological developments that have taken place in Israel during the past 70 years. High schoolers are exposed to nuanced discussions of contemporary Israel, and all students learn to engage with Israel on an ongoing basis so that they will hopefully build an enduring connection with this special place which connects the entire Jewish world.